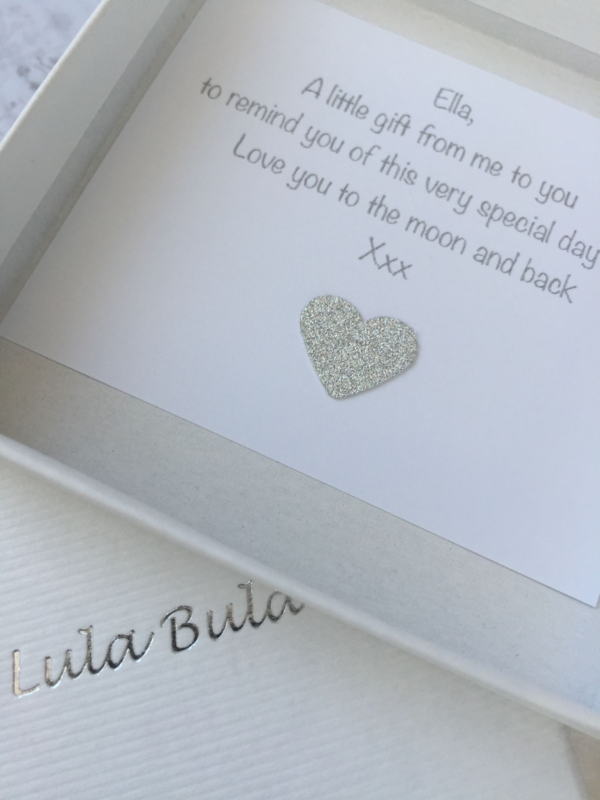 Our beautiful personalised First Holy Communion silver necklace has a gorgeous sterling silver heart tag that can be personalised with engraved names / message / date on the front and the back - it is shown with a little heart engraved under the names. (A Maximum of 40 characters can be engraved on both sides). 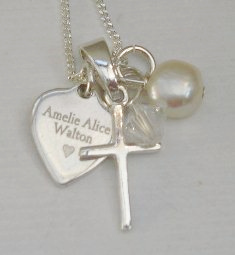 The heart tag on our First Holy Communion necklace measures approx 1.3cm x 1cm, the cross measures approx 1.5cm x 1cm and the crystal and pearl cluster can be made in any favourite or birthstone colours of your choice or instead of the cluster we can add a clear(ab) swarovski crystal heart or a clear(ab) star to this design. Crystal heart measures approx 1cm x 1cm , crystal star measures approx 0.8cm x 0.8cm. The sterling silver curb chain in a choice of 14" / 16" /18" length. 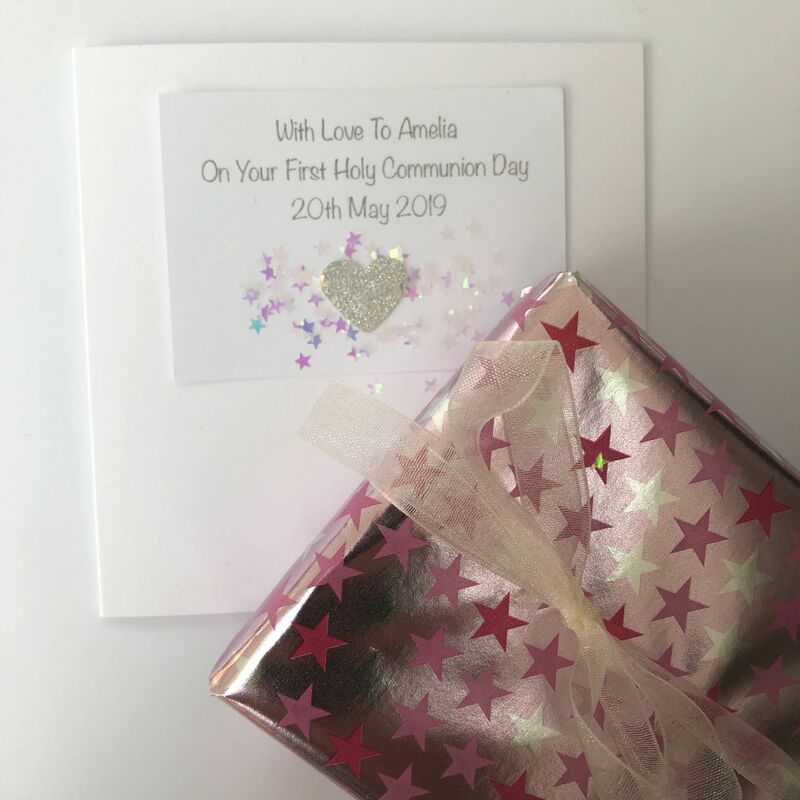 It is a truly beautiful First Holy Communion gift that is sure to be treasured forever.